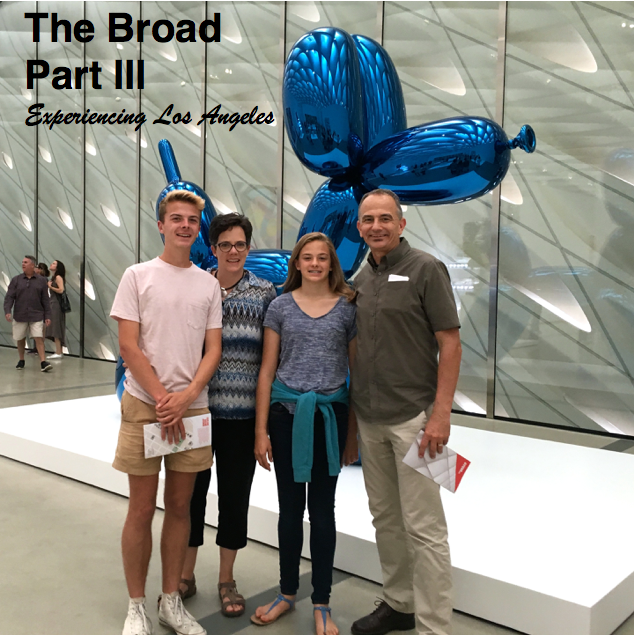 In September 2016, my wife kids and I were in Los Angeles and had time to spend a couple hours at the Broad in Downtown Los Angeles. Here's a link to Part I, Part II and Part III from the past few weeks. 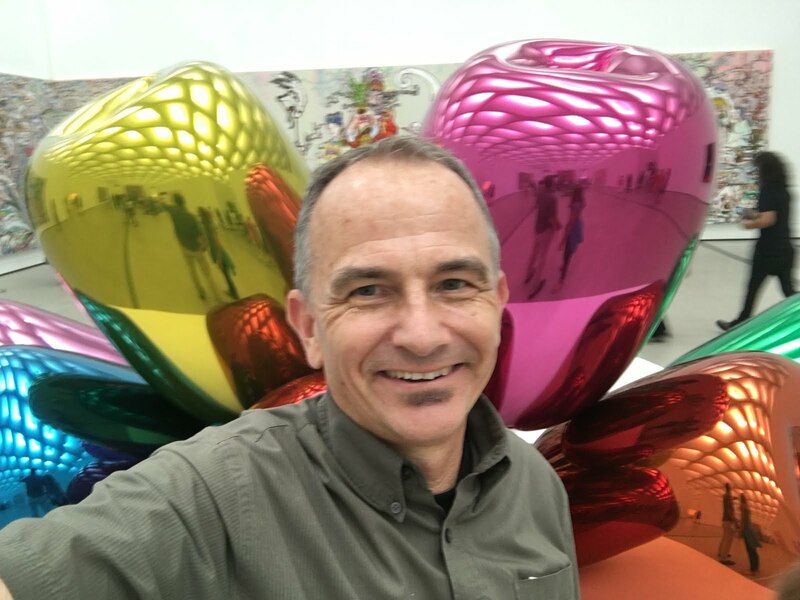 Above, Jeff Koons' Tulips. 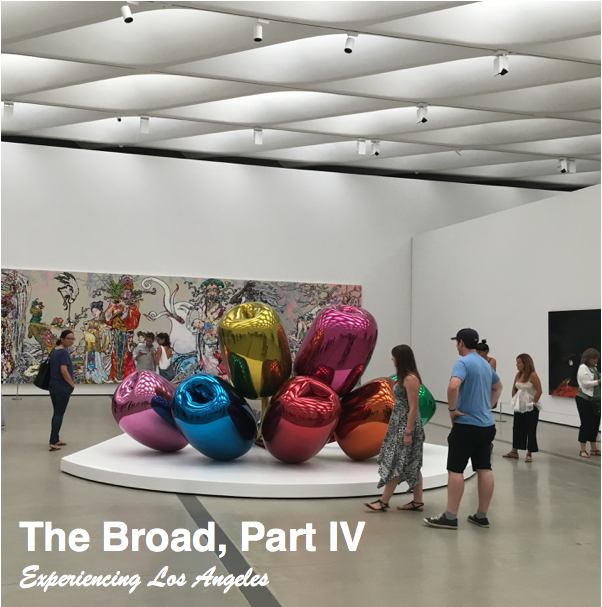 The Broad (rhymes with Road) is a private museum, named after it's benefactors, Eli and Edythe Broad, and opened to the public on September 20, 2015. Admission is free. If you go, we strongly recommend getting reserved tickets, which saves waiting in line to get in. 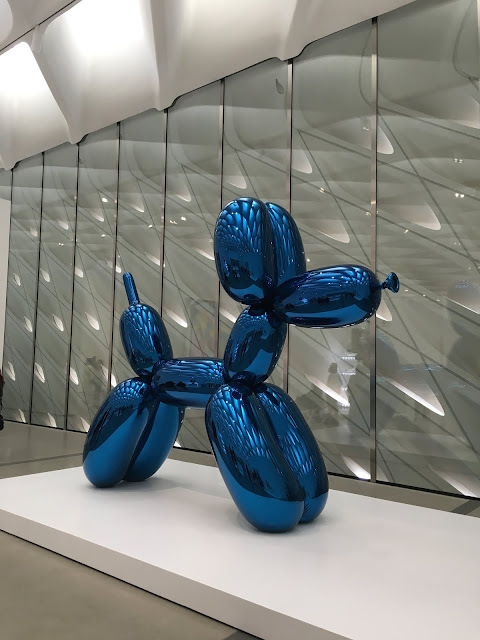 The expansive third floor gallery, with Jeff Koon's Balloon Dog (Blue) in the distance. 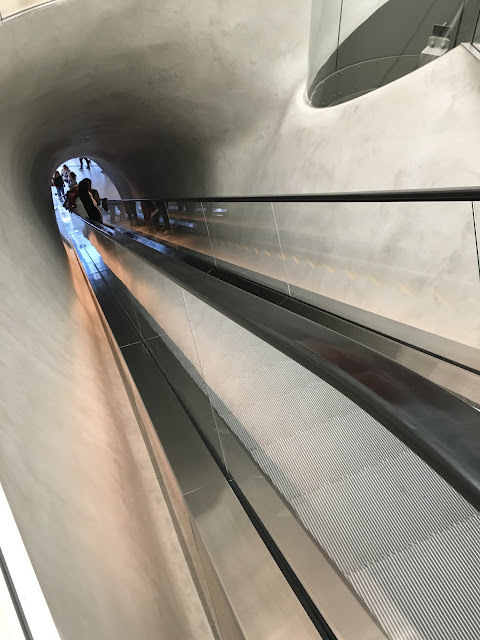 This is looking back down the escalator, which is one way - taking guest from the first floor entry directly to the third floor. There are stairs and elevators to head down to the first floor. On the way down, on the second floor, we noticed a hand on art studio for kids. My kids, at the time 16 and 14, are a bit too old for working on art projects in the museum, but it was still cool to see parents and kids enjoying making projects together. The second floor also has a window into the art storage area - with a reminder of just how much artwork The Broad actually has. Only a portion of their collection is on display at any given time. "Exit through the gift shop." Yes, there's a gift shop on the first floor towards the exit. Another view of gift shop. This is looking out through one of the massive glass windows at the outside shell. According the the wikipedia article, "the building design is based on a concept entitled "the veil and the vault". "The veil" is a porous envelope that wraps the whole building, filtering and transmitting daylight to the indoor space. 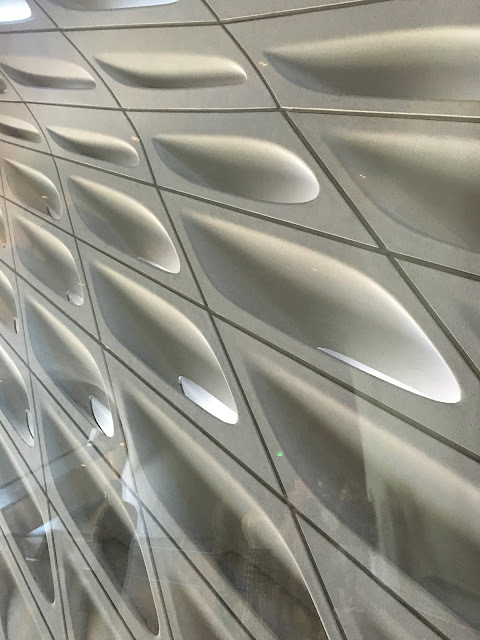 This skin is made of 2,500 rhomboidal panels made in fiberglass reinforced concrete supported by a 650-ton steel substructure. "The vault" is a concrete body which forms the core of the building, dedicated to artworks storage, laboratories, curatorial spaces and offices. Another look at the entry lobby, next to the gift show. You can see the elevator, which goes directly from the first floor up to the third floor. Andy Warhol Campbell Soup artwork - on skateboards. 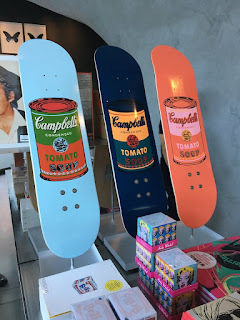 These boards are designed to look at, not to ride. Last look at the gift shop. Even if you're not a huge fan of modern art, the building alone is worth a trip. A final look out front on the street, with a couple of obligatory L.A. food trucks out front. I generally love food trucks, but will admit that they really detract from the look and feel of the building. 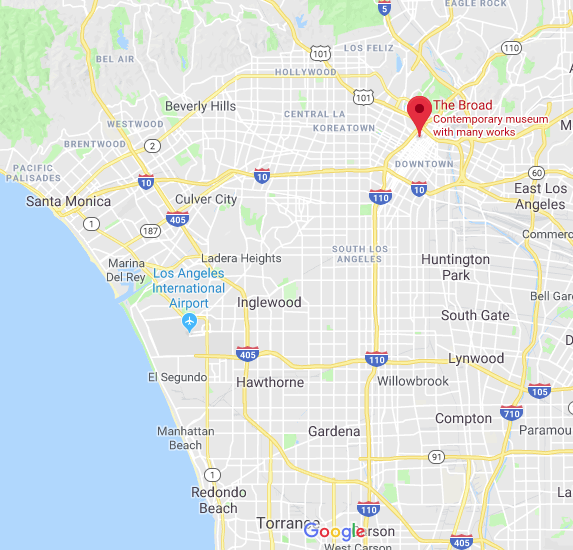 Here's a link to some additional exterior photos of The Broad from a previous post (from an earlier visit). Despite the food trucks out front, we wanted to check out the Grand Central Market, a couple of blocks away, which my wife and kids hadn't been to since 2010, before it was "discovered." More on this next time. 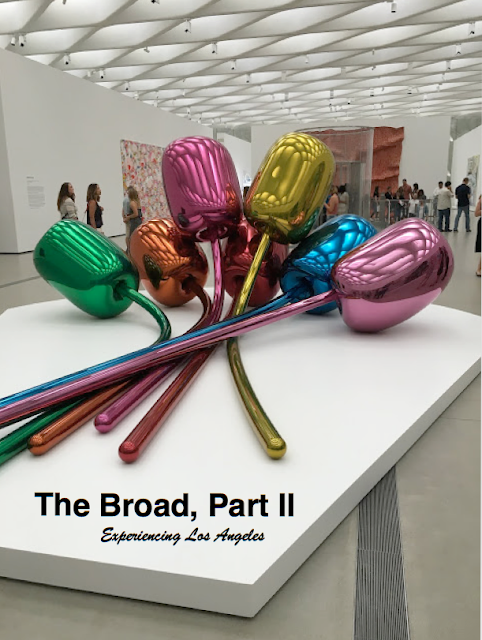 In September 2016, my wife kids and I were in Los Angeles and had time to spend a couple hours at the Broad in Downtown Los Angeles. Here's a link to Part I and Part II from the past couple of weeks. 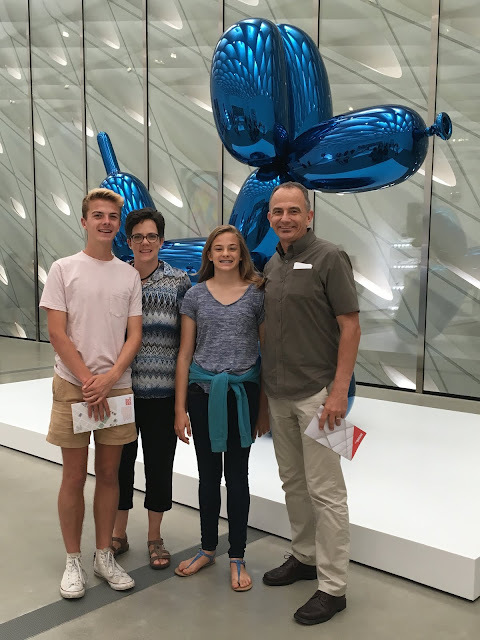 Above, my wife, kids, and I in front of Jeff Koons' Balloon Dog (Blue). 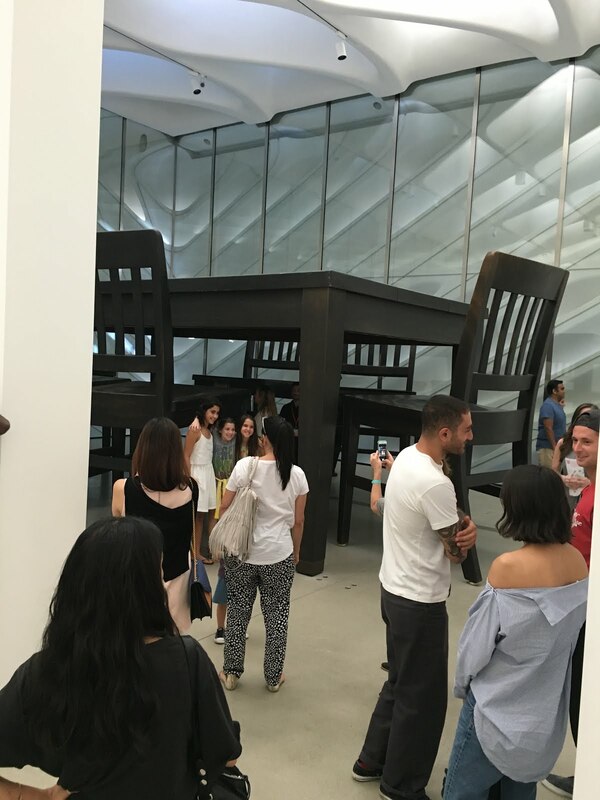 Above, artist Robert Therrien's Under the Table. 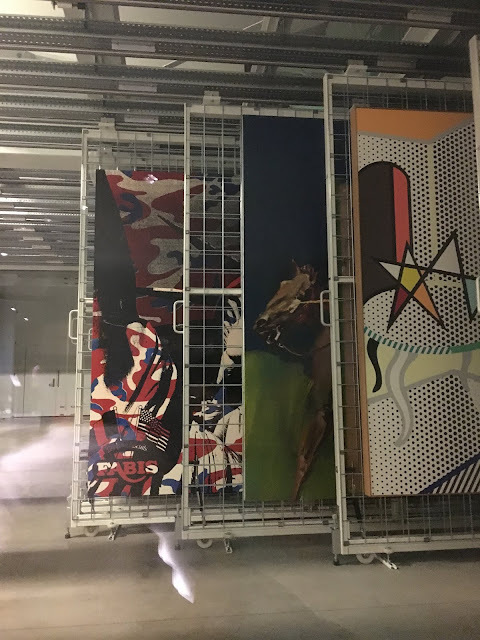 One of Therrien's other works was the "Stack of Places" (technically, calle "Untitled") located at the museum entrance. 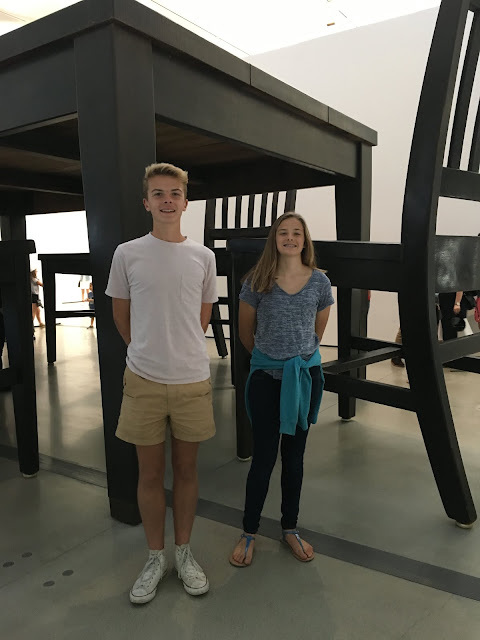 My kids - then 16 and 14 - thought Under the Table was really cool. 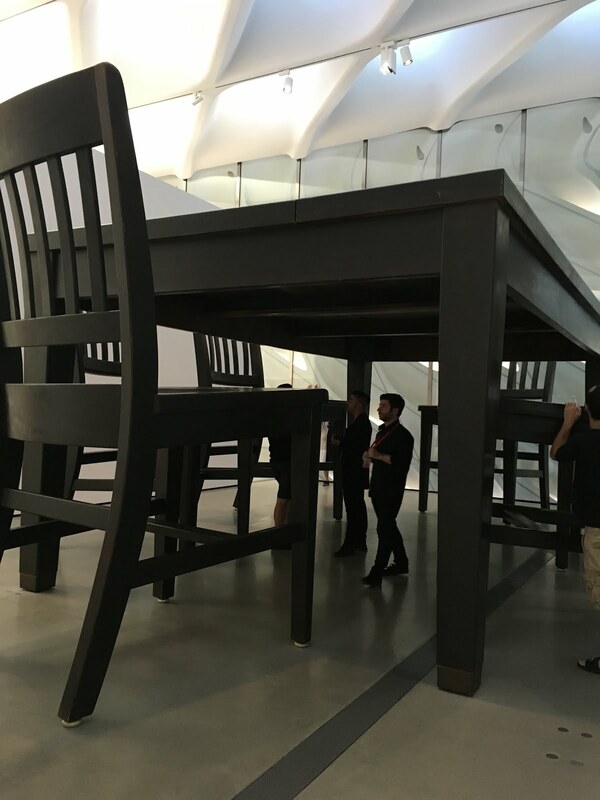 In Under the Table, the viewer is both in the world of imaginary giants and in the world of remembered childhood. Fusing Alice in Wonderland with the Duchampian tradition of the readymade, Therrien constructs a doppelganger from an everyday object, both displaying his visual wit and actualizing literary or imaginative fantasy in three-dimensional space. The table exudes an extraordinary aura, compelling one to walk underneath the table and conjuring the physical memory of being under the table of one’s childhood home. 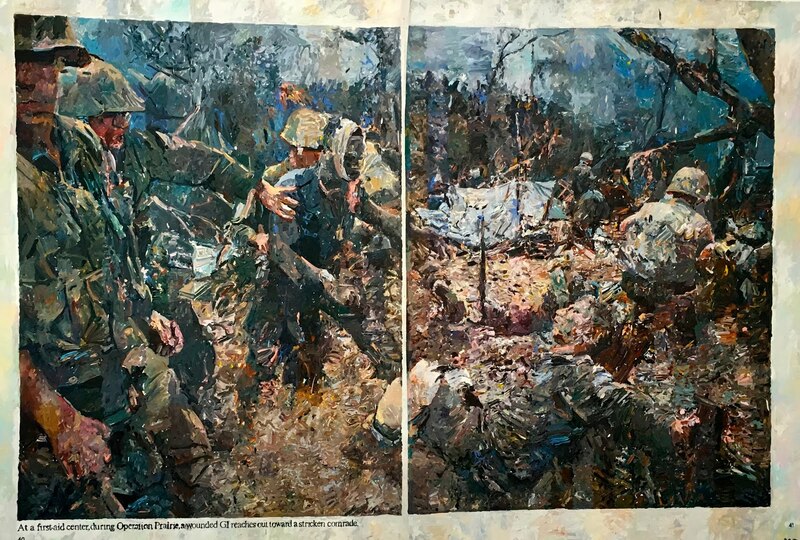 Complicated and powerful, the work offers fresh ideas of what a table, sculpture, and memory can mean. Another photo, with numerous visitors around Under the Table. 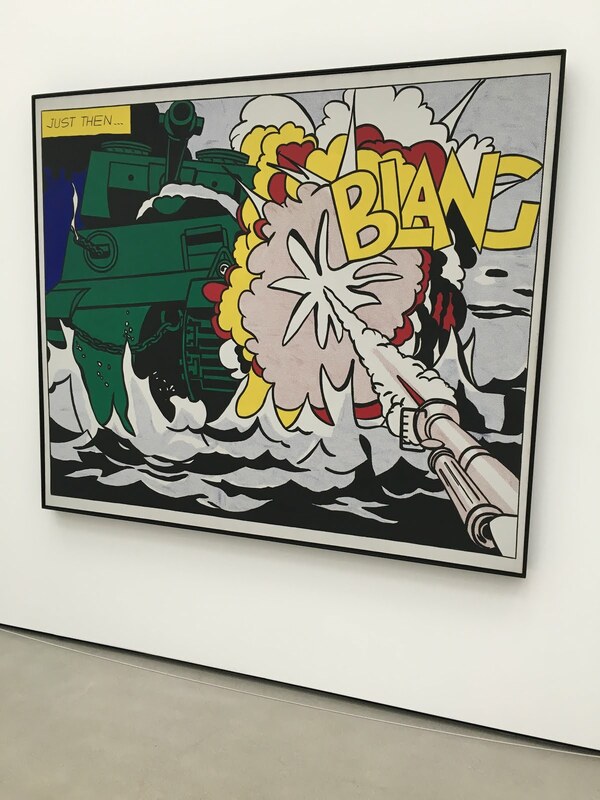 More artwork: Roy Lichtenstein's 1991 Interior with African Mask. 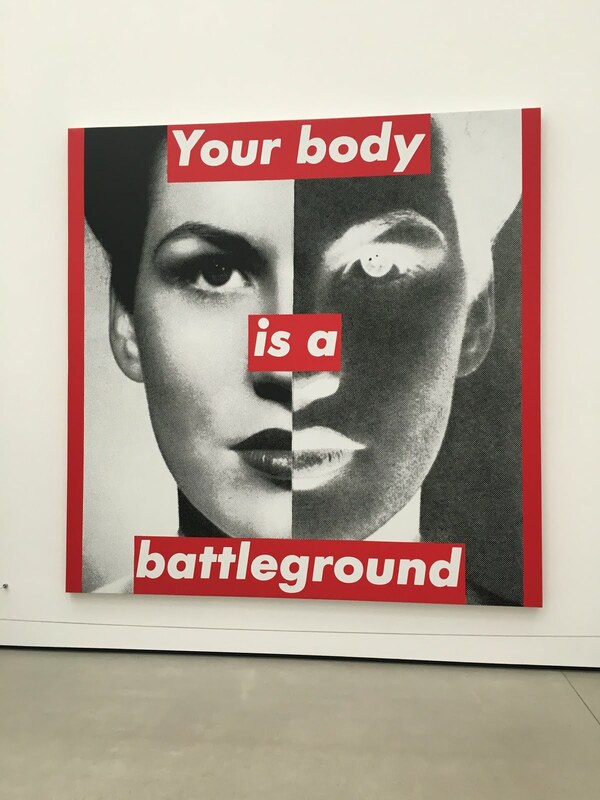 Barbara Kruger's 1989 Untitled (Your Body is a Battleground). Looked and looked, but I - unfortunately - can't find the title or artist. 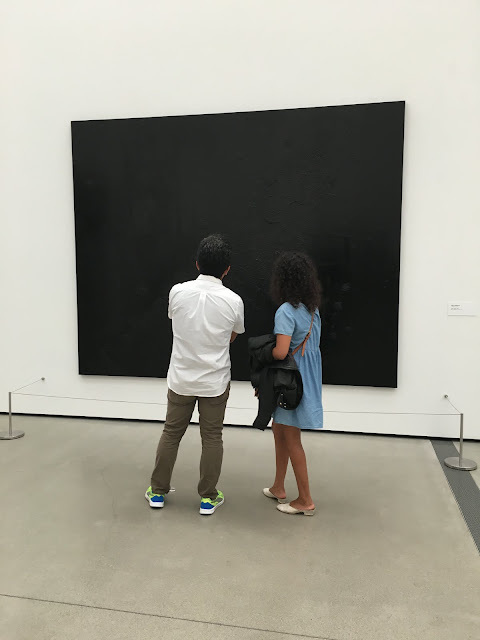 Yes, this is simply black paint on a canvas. Another view of Jeff Koons' Tulips. Another view of one of the third floor galleries. 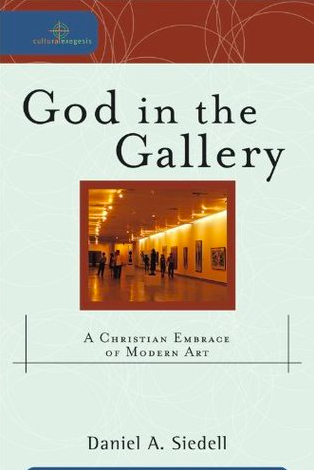 I'm looking forward to (eventually) reading Daniel A. Siedell's God in the Gallery: A Christian Embrace of Modern Art. 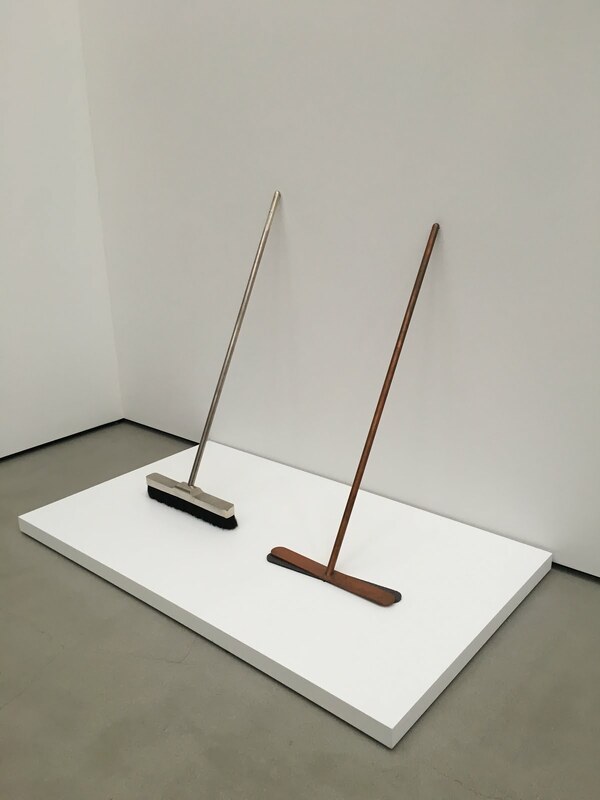 For a variety of reasons, modern art has a less than stellar reputation among many of my fellow Christians. Do I like everything in The Broad? No, of course, not. But I'd be hard pressed to find a museum where I like everything on display. I also recognize my personal understanding of art is fairly limited. 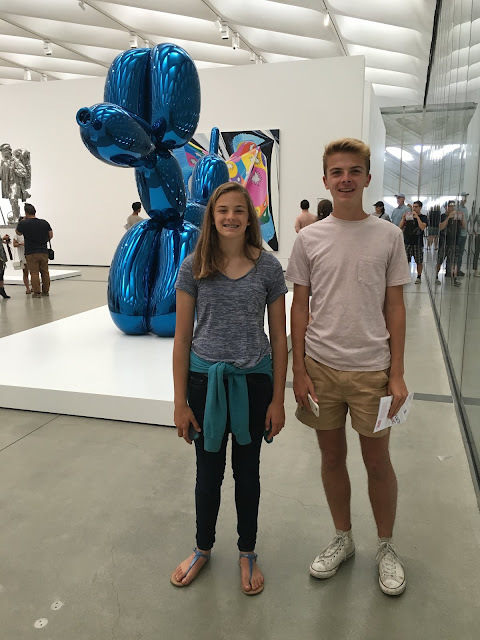 In front of of Jeff Koons' Tulips. Colorful. Creative. Whimsical. And, yes, a tremendous amount of skill. 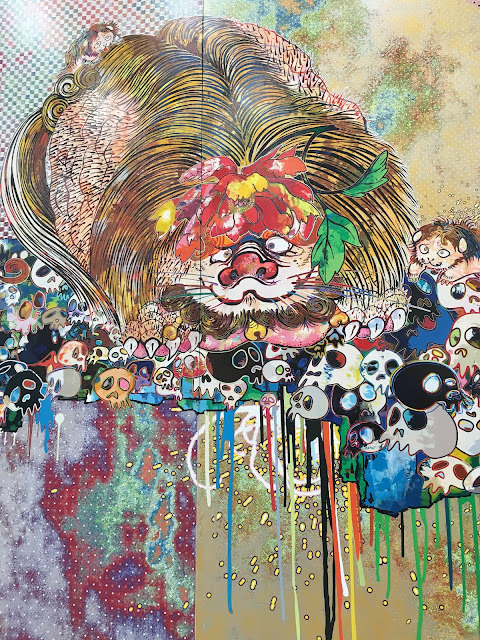 Takashi Murakami's 2011 Of Chinese Lions, Peonies, Skulls, And Fountains. Barbara Kruger's 1995 Untitled (You Are a Very Special Person). 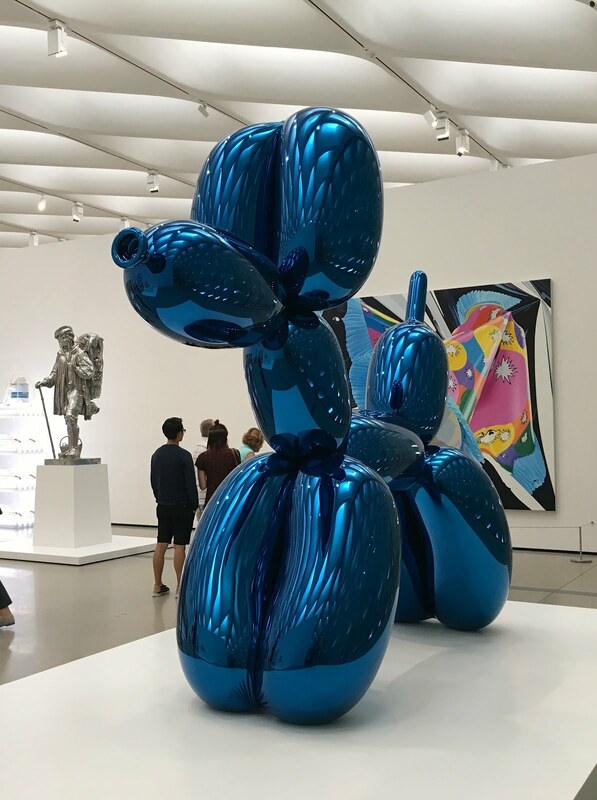 A final look at Jeff Koons' Balloon Dog (Blue).